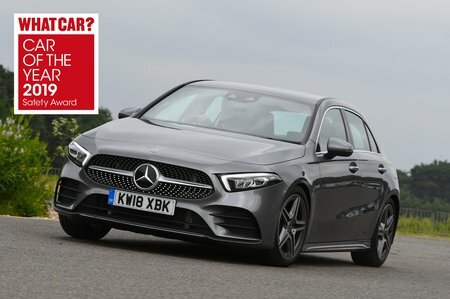 Mercedes A Class Boot Space, Size, Seats | What Car? You’re unlikely to grumble about space in the front, even if you tower over most of your friends and colleagues. The seats slide back a long way and there’s plenty of head room, although the optional panoramic roof (part of the Premium Plus package) does reduce this slightly. The door pockets are big enough for a couple of 500ml bottles of water and there are two suitably deep cupholders in front of the infotainment touchpad, and a decent glovebox and storage under the large centre armrest. Anyone taller than six foot won’t exactly be sprawling out in luxury, but neither will they be packed in with their knees tucked up under their chin. 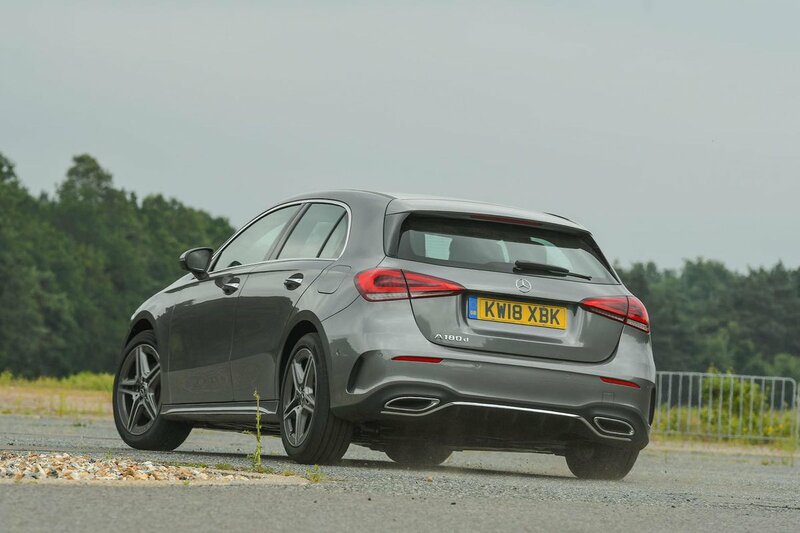 Put simply, the A Class is roughly on a par with its key rivals, the Audi A3 and VW Golf, for both head and leg room, and it's bigger in the rear than a BMW 1 Series. 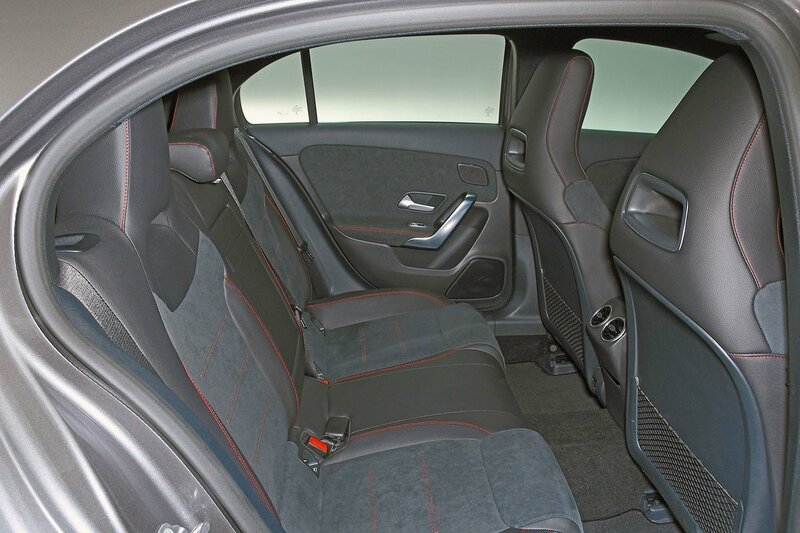 With less of an intrusion from the wheel arches, access to the rear seats is easier than in the 1 Series. However, getting into the back of an A3 is easier still and its broader interior is slightly better suited to seating three adults side-by-side. Meanwhile, you'll need to stump up for the optional Premium package if you want your passengers to benefit from a rear centre armrest. ‘Par for the course’ is probably the best way to describe the A Class’s seating flexibility. All versions come with 60/40 split-folding rear seats, but that’s no better than the flexibility in most rivals, including the A3 and 1 Series. Electric front seats (with lumbar adjustment and a memory function) are available as part of the expensive Premium Plus package. There’s nothing spectacular about the boot of the A Class, although it’s spacious enough for a big weekly shop or a week away for two. In fact, in our practicality tests, the A Class and A3 tied by swallowing six carry-on suitcases although it was less of a squeeze to get them in the Audi. The 1 Series, meanwhile. only managed five. Drop the split-folding rear seats and you end up with a large, flat, extended load space. However, the lip at the boot entrance is a bit annoying: it creates an obstacle that you have to heave heavy items over. Rivals such as the A3 and Golf have a height-adjustable boot floor to mitigate this failing, so it’s a bit of a shame a similar feature isn’t available on the A Class.